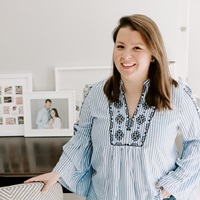 Last weekend was a multi-day celebration of my husband’s birthday; I am a firm believer in the “birthday week” over just one night of festivities. We planned to kick off the weekend with friends heading out to a concert (Huey Lewis and the News played, and yes they were awesome). To me, one of the best parts of outdoor summer concerts is the tailgating before the show. We were heading to the event with friends, and we own a tiny car that isn’t ideal for this type of pre-concert picnicking. 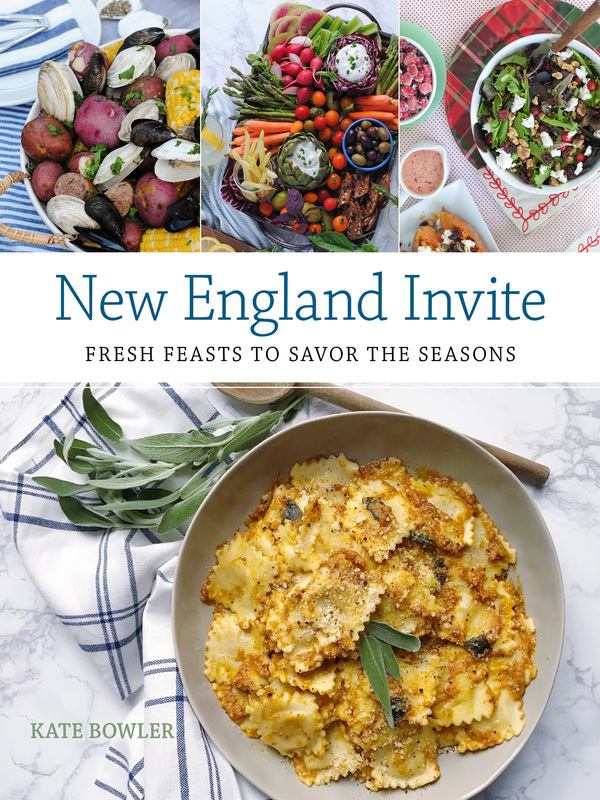 Luckily Enterprise CarShare reached out me about trying their car-sharing program in Boston and it was the perfect opportunity to borrow an SUV that would hold our friends and concert tailgating spread! It’s a great service, they make it so easy to pick up a car in the city and borrow it for the time you need it. Once you’re approved for a membership, you can easily view and book vehicles right through their app. 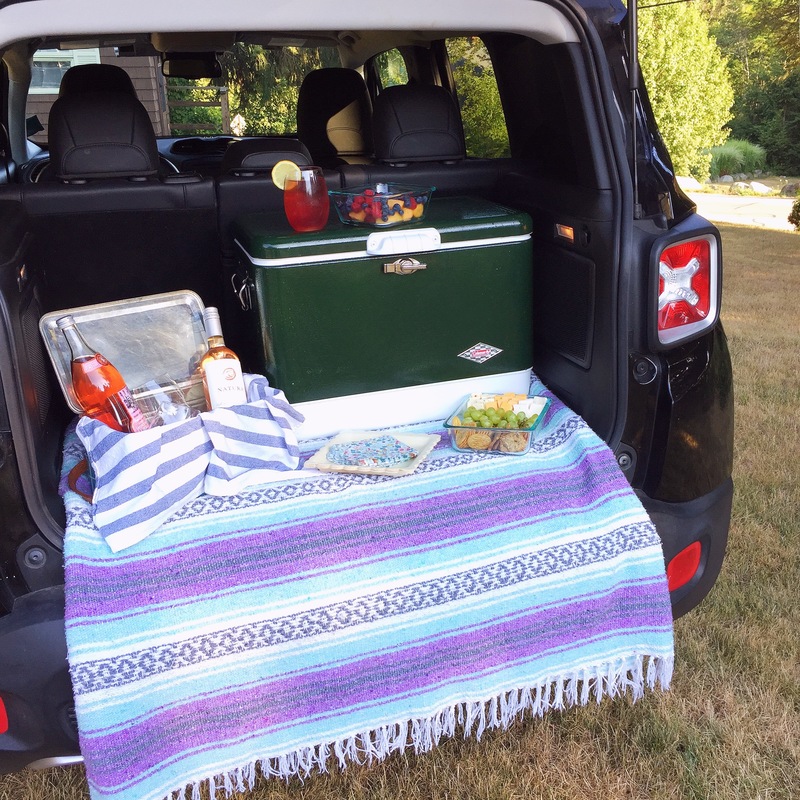 I grabbed this fun Jeep Renegade on my way home from work and we filled it up with our picnic supplies before heading to the show. I love that summertime vibe of having the back hatch open on your car, enjoying some sparkling lemonade and a cheese plate while perched on the bumper, waiting for the concert to start! Forget the utensils. Stick to bite-sized finger foods. I love to make a cheese plate for tailgating and pre-portion out all of the cheese slices, crackers and garnishes into individual bite sized pieces. Sliced up fruits another easy snack that looks colorful and refreshing on a warm summer night. Just pack everything in a nice quality container and pop the top off to serve. Use glass alternatives. A lot of concert and sports venues will have rules against bringing in glass, but plastic party cups just don’t do it for my tailgating tablescape. I like to bring stemless shatterproof glasses (Govino brand stemless wine glasses are a great choice, or Tervis tumblers!) 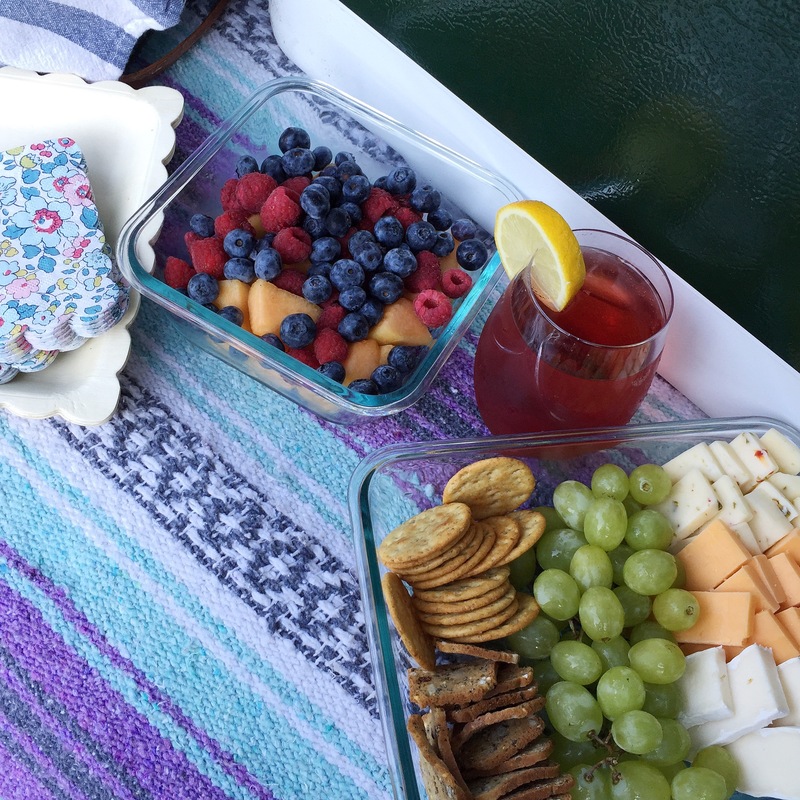 to give a bit of class to our parking lot picnic. Pack prepared. Throw a bottle opener, a blanket, a few towels to take care of spills, bug spray, and garbage bags for recycling and trash in your picnic tote so you’ll be prepared for anything! Don’t forget about the ride home. Pack a surprise dessert or snack for when you’re waiting in the inevitable parking lot lines on the way out, and lemonades and water bottles are a good idea to pack in your cooler for your designated driver too! I like to freeze waters and lemonades before the event, use them as ice packs to keep our food cold, and then they’re thawed out for the ride home! Please note: This post was sponsored in partnership with Enterprise CarShare. Enterprise CarShare enables you to go where you want, when you want, and can be a great alternative to car ownership in urban areas. All opinions and images are my own. Summer Corn Panzanella Salad. Strawberry Watermelon Agua Fresca. One Response to "Summer Concerts and Tailgating." 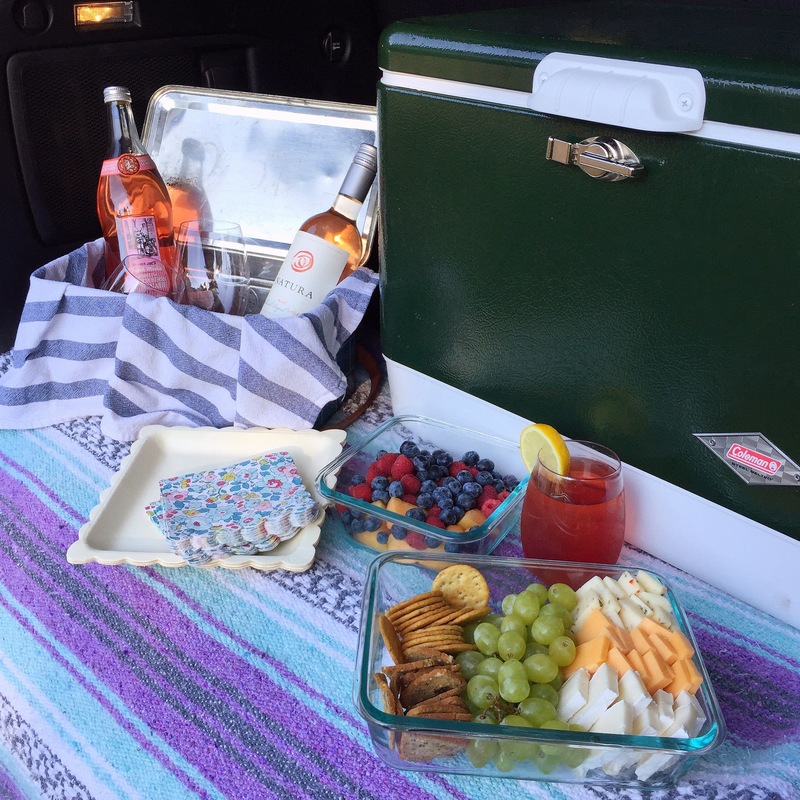 Your tailgate looks super yummy and also super organized! No surprise coming from you, girlie!